Green Tours Dubai offers you a chance to experience something new in the Dubai Desert by Morning Desert Safari Dubai Tour This is a golden chance for you to enjoy all the goodness of desert and after spending an eventful night witness the sunny morning by welcoming sun rising form the sand dunes. It will be a magical moment when you get a chance to experience another view of nature that is very rare in your life. 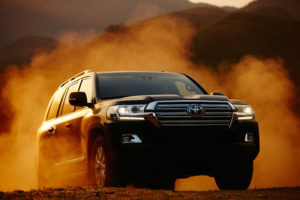 Having a drive accord the desert, fun night and then a peaceful morning is such a great combination you could have during you Safari experience. The sun rising form the golden sand particles making the view more attractive and mesmerizing for the viewer, it will be an ultimate moment that you can capture in the lens of you camera easily. We have planned this beautiful opportunity for you so you could have a better look over the nature in desert and its miracles as well. In Dubai Desert there is not only sand and its related sports but there is a hidden secret of nature’s beauty and you rarely get a chance to explore to the fullest. In the Morning Desert Safari Tour Dubai you will get to have a number of experiences that will remain unforgettable and make up a memory saga for you. Passing through the desert in the evening and spending a night in the desert with a number of activities that keep you entertaining for long. Having a long night that is full of events and entertainment and then well com the sun out of sand with all of its bliss will be an amazing train of scenes that will remain fresh in your mind. Moreover to that you will have a chance to set up your photography lines over there to capture different views of desert morning it’s all based on your craze for capturing the nature’s beauty. It is a common thing for you to have an overnight stay in the desert after having a Safari, but going for a Morning Desert Safari Tour Dubai is something new that keeps you motivated for sure. It will be an amazing tour of your life for sure that let you to experience something different from the random. For bookings and queries contact us through all online and offline means all around the year. BASIC PACKAGE @195* AED Click to see details. * 2 to 3 Persons ( AED 195/ per person). * 4 to 5 Persons ( AED 115/ per person). * 6 to 12 Persons ( AED 110/ per person). * 13 to 29 Persons ( AED 85/ per person). * 30+ Group Persons ( AED 70/ per person). City Centre Sharjah, Mega Mall Sharjah, Sahara Center, National Paints near New NESTO. Hotel & residence Dubai/ Sharjah Pick-up & drop-off by 4×4 facility available upon request & 20 AED* per person additional cost. ADVANCE PACKAGE with 4×4 @245* AED Click to see details. * 30+Group persons ( AED 235/ per person). Drop-Off 4×4 around (12:30 pm to 1:30 pm). Note: Early Reservations are recommended. Trip cancellation / amendment should be informed within 24 hours, otherwise 50% Cancellation Charges may apply. Senior citizens with heart patient are not recommended to go for Dune Bushing / Desert Safari. Or clearly inform us / Driver so we can arrange to drop them directly in camp area without dune bushing/Desert Safari. Children below 3 Years of age are Free of Charge. Above 3 years will be charged same as adult.